Chris Peifer is the founder and CEO of the APF Foundation, a Founding Director of Bay Cities Bank, and a Director of The Idlewild Foundation. Since 1988, he and his wife, Susan, have been active members of Idlewild Baptist Church. They have three children and ten grandchildren. 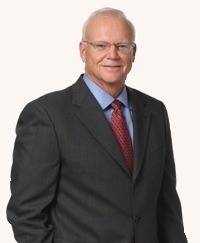 Mr. Peifer served on the Board of The Christian Embassy in Washington DC, Tampa’s Metropolitan Ministries, is a past president of The CEO Council and served as a Board Chair of Tampa Preparatory School. He was also a board member of Nasdaq member firm, Medical Manager prior to its merger with WebMD. He has been an early-stage investor in various enterprises, including National Medical, SOE Software, iLiant, Primesource, and EESCO. Mr. Peifer holds a BA from Denison University and an MBA from Northwestern University.